In Part 3 of this series, we will be breaking down Tax Bankruptcy as an option to settle your tax debt. Tax Debt may be discharged in bankruptcy, provided that the debt is old enough and other requirements are met. For example, the tax debt must relate to a tax due on a return that was due to be filed more than 3 years prior to the filing of the bankruptcy. However, bankruptcy is not right for everyone, and the taxpayer's entire financial situation needs to be considered before filing a bankruptcy strictly to eliminate Tax Debt. For example, a Chapter 7 bankruptcy will require the debtor to liquidate all of their assets that are not protected by bankruptcy exemptions. Many Chapter 7 debtors have no nonexempt assets, and can eliminate unsecured debt, along with certain tax debt, without distributing anything to their unsecured creditors. However, a debtor with significant nonexempt assets may not want to file a Chapter 7 bankruptcy just to eliminate their tax debt because they will have to surrender their assets to do so. In addition, the IRS tax lien will continue to attach to exempt assets even if the taxes are dischargeable. 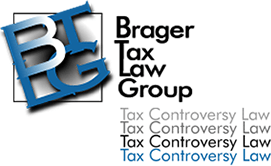 If your bankruptcy attorney believes that your taxes will be discharged make sure he gives you his opinion in writing. We have seen too many instances where taxpayers believed that their taxes had been discharged, but after going through the pain and anxiety of a bankruptcy proceeding--not to mention ruining their credit rating--discover that their taxes have not been discharged. Besides the three options we have already discussed, many other tax strategies can be used in conjunction with the methods listed above or on their own. For example, placing your account in currently non-collectible status will put a temporary stop to IRS collections, but does nothing to actually settle your debt. First time penalty abatement can be used to eliminate penalties and interest on the penalties, but you will still have to deal with the underlying tax liability. To learn about the strategies that will help you resolve your tax problems and get the best possible result, contact our offices to consult with our experienced tax lawyers.